Come to a public meeting to provide input on and ask questions about the changing needs for parks, recreation, and natural resources. 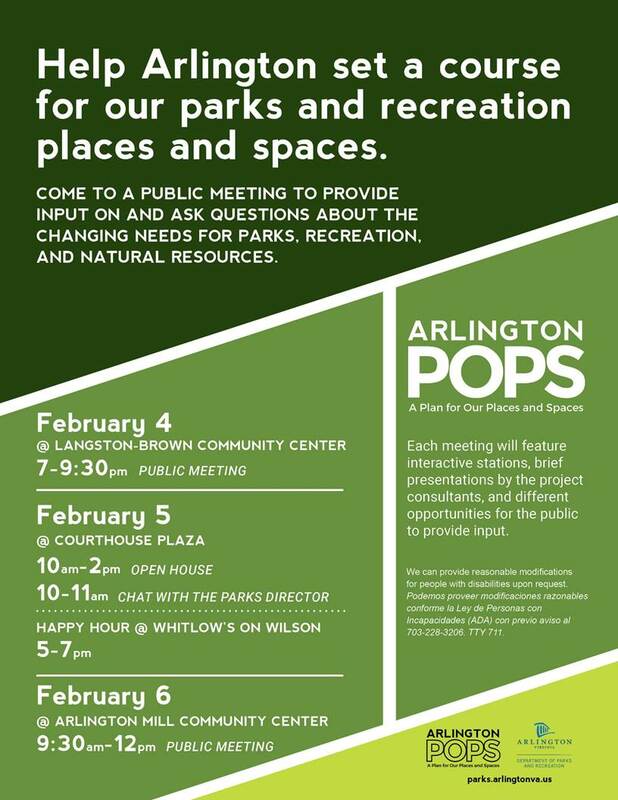 Each meeting will feature interactive stations, brief presentations by the project consultants, and different opportunities for the public to provide input to help updated Arlington's Public Spaces Master Plan. 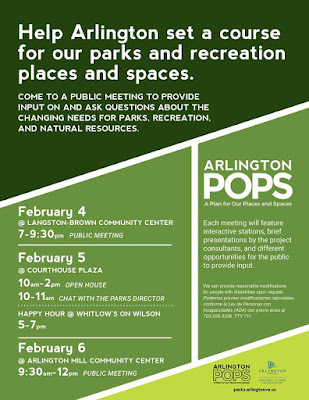 · Public Meeting on Feb. 4 @ Langston Brown Community Center 7-9:30 p.m.
· Open House on Feb. 5 @ Courthouse Plaza 10 a.m. – 2 p.m.
· Chat with Parks Director on Feb. 5 @ Courthouse Plaza 10-11 a.m.
· Happy Hour on Feb. 5 @ Whitlow's on Wilson 5-7 p.m.